Mumbai, Aug 16: The key Indian equity indices pared major losses made during the morning session to trade flat on Thursday afternoon. Both the key indices -- S&P BSE Sensex and NSE Nifty50 -- opened on a negative note, subdued by weak global cues and a slump in the Indian rupee as it touched a fresh all-time low of 70.32 per dollar. According to market observers, heavy selling pressure was witnessed in metal and consumer durables stocks, while healthy buying took place in the auto, IT and healthcare stocks. At 12.08 p.m., the wider Nifty50 on the National Stock Exchange traded flat, with nominal gains of 0.15 points at 11,435.25 points compared to the previous close of 11,435.10 points. 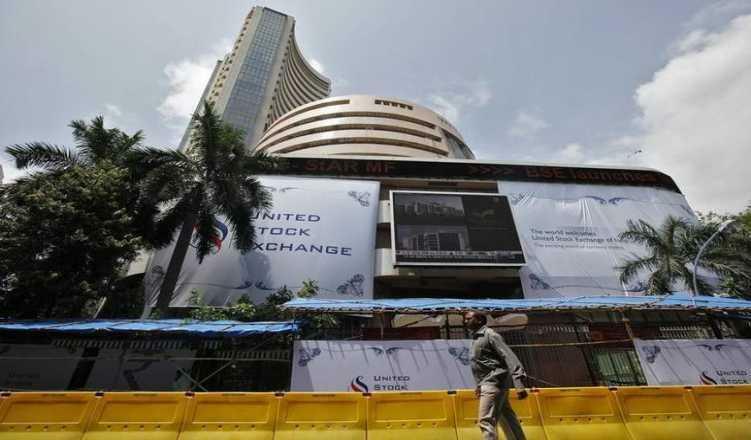 The benchmark BSE Sensex which had opened at 37,796.01 points, traded at 37,845.20 points (12.08 p.m.), lower by 6.80 points or 0.02 per cent from the previous close of 37,852 points. It has so far touched a high of 37,891.92 points and a low of 37,644.97 points. The top gainers on the Sensex were Sun Pharma, Axis Bank, Infosys, Tata Motors and ICICI Bank while Kotak Mahindra Bank, Vedanta, HDFC, Wipro and Tata Steel lost the most. On the NSE, the major gainers were GAIL, Sun Pharma and Axis Bank while the major losers were Kotak Mahindra Bank, Vedanta and Hindalco Industries.